Welcome to Hauling in Los Angeles. At Hauling in Los Angeles we provide swift and efficient debris removal services. Our professional debris removal service team is specialized in handling a wide variety of tasks. Our team offers services such as cleaning, repair work, and debris removal. Whether it is a partial debris removal job, or if the job requires clearing everything our debris removal team is the perfect solution. At Hauling in Los Angeles we pride ourselves on being able to meet the needs of our clients as they always come first. Our professional team will follow the specific instructions of the client when removing items from your home or business. Our team offers hard work and dedication to the task at hand to our clients at affordable prices. If you are in the Los Angeles area, we are the debris removal service for you. We offer both residential and business services and have the tools to carry out your debris removal in an efficient manner. If you are looking for a reliable company to handle your commercial needs such as foreclosures, estate clearing, home sale preparation, or property maintenance then Hauling in Los Angeles is for you. No job is too large or small for Hauling in Los Angeles. We are located in the Los Angeles area, and will be happy to provide quotes or estimates, as well as discuss what we can do for your property so give us a call at (213) 804-7437. 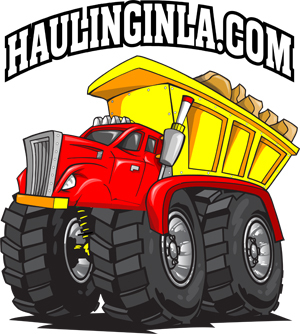 Our team of experienced haulers at hauling in Los Angeles services the following neighborhoods in Los Angeles. The best hauling junk removal company in Los Angeles has removed from single appliances such as old stove, refrigerators that did not work junky old beds and furniture all the way to hundreds of cubic yards of dirt for a new construction project.